FA Cup vs Carling Cup: Which is more important for Arsenal now? In life, there comes a time when we have to make some difficult choices, some things we have to make more important than the others. Prioritize some aspects and leave some stones unturned. Arsenal are in a similar state right now. For obvious reasons, the Premier League and the European Cup remain our priorities. Even though it is hard to admit it, there is a strong possibility that we will be kicked out of one of the two ‘weaker’ cups very soon. Our squad this season has substantial depth and can withstand a bumpy run of fixtures more strongly than before. Consequently we find ourselves competing for all available trophies even in the middle of January (and are in respectable positions in all of them too). But as the fixtures get congested, Wenger will have to rotate the team heavily and inevitably we will not be able to put the same amount of quality/effort in all the competitions. Hence we will be forced to choose between the two cups now. I am not saying we should ‘give up’ on any one of them, but prioritize one, realize that as we progress further our chances of being knocked out become stronger. This will become especially true when we suffer more injuries and some players start to feel the effects of fatigue (like Arshavin). Last season this was not a problem become we played a largely second-string team in the Carling Cup, leaving the big guns to fight for more esteemed honors. “I will go for it [all four competitions], but we will have to rotate. “Our success depends on the way the whole squad can focus on the different competitions. I believe we have the quality to qualify no matter what I do on Wednesday. It’s just how much we are able to focus on the competition. “The timing is not the best but it is down to us because we could have beaten Leeds at home. We didn’t manage to do that but now there’s no reason why we should give up. It’s very ambitious of him to try doing so and I stand by his intentions. This Arsenal team includes players who have not yet won any major trophies in the whole of their careers and I believe until they get the taste of winning a trophy, any trophy, they will not grow the hunger for it. You do not become addicted to smoking until you had your first taste of a cigarette. 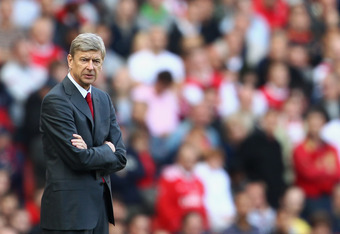 But the question remains, which trophy should Wenger concentrate more on? In which competition should he field a stronger team? The FA cup or the Carling cup? On first glace, the answer seems rather simple. The FA cup is more prestigious and Arsenal are a side that specializes in winning this cup (10 times). In fact the last match in which we won a trophy was the final against Manutd in the FA Cup (2005). But the FA cup is still in its preliminary stages and Arsenal have to progress a lot further before they are in a realistic position to actually win it. Although it is called the FA cup ‘3rd round’, it is actually the 1st round for Premier League teams and there are still 64 teams in the competition currently(not counting the teams that have already progressed for the next round)! Whereas, in the Carling Cup, the completion is nearing its end and we are playing the semi-finals against Ipswich. Thus this aspect of the competition is very alluring as we are in a strong position to actually winning this competition and obtaining our first trophy since 2005. 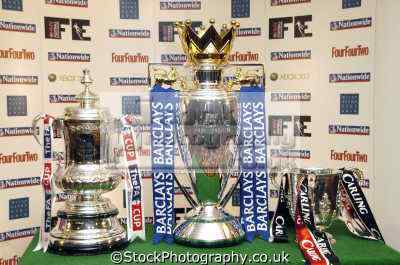 In my opinion we should put more effort on winning the Carling Cup this season. A trophy which is so within our reach should not be ignored. We play Leeds United for the FA cup replay on Wednesday and I think Wenger should take a leap of faith and field a weaker side than the one that faced West Ham the other day. But what do you think- should Wenger fully concentrate on the match against Leeds on Wednesday and hope that the team remains unscathed or put winning on the line and rotate strongly? The FA cup or the Carling cup this season?